I sincerely appreciate the opportunity of actively participated in the design, construction and inauguration of the Cathedral. On Sunday, May 1st, I was present at the inauguration meeting of the Cathedral. 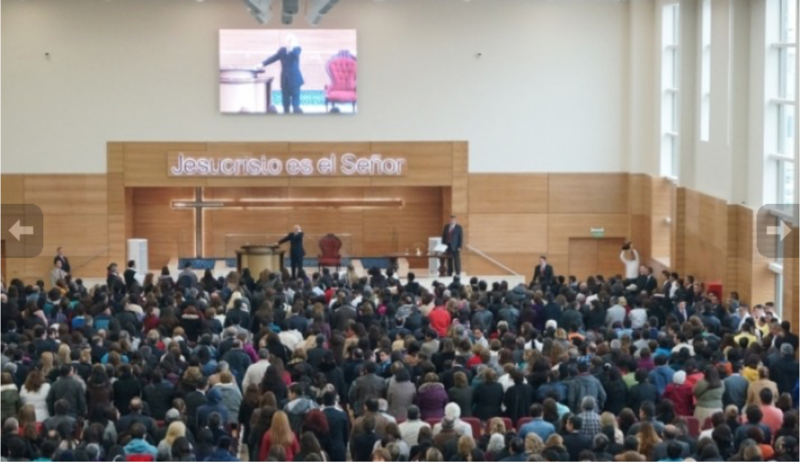 It was the first time I attended a meeting at the Universal Church, and it happened during such an important moment for the Church here in Chile. It was an amazing experience to see the happiness of all those who were present that day, it was truly a reward for the soul. Bishop Macedo’s words during the meeting really touched me, for example, when he explained that our communication with God happens through our mind and rational thoughts, not the heart. I had never heard this in any other church. For a long time I’ve considered the heart to be overly emotional, which causes us to become confused and make wrong decisions. For me, integrity and common sense are the answers to many things I see and feel about religion. When it came to the message about the Fountain of Life, what caught my attention the most was that when a person receives the Holy Spirit, he becomes the very source and can give Living Water to others, because he becomes an instrument of God. I had heard pastors in other churches preach this message, but they interpreted it differently, not as clear as Bishop Macedo explained it. Another point that caught my attention was during the prayer, when everyone was very concentrated and had their eyes closed. I heard a loud sound at that moment and I confess that I opened my eyes to see what it was. When I looked at the faces of the people around me, they had a very pure and genuine expression. Then, the sound became louder and it was like a strong electrical discharge passed through me, like nothing I had ever felt before, that could possibly be produced by something physical. And finally, I admit that I never heard something the bishop explained: what good is believing in God and not believing in yourself; this is, we must believe in God and in ourselves. Personally, I can say that I am grateful for this moment, because it was a unique experience. As an architect, I can say that the Cathedral of Santiago and all the people who are part of it will contribute through a large impact and further development of the neighborhood and its surroundings, as well as in the city of Santiago. The activities that will take place here and the large amount of people with faith that will begin to participate will achieve this change. Thank you for allowing me to be part of this work. Thanks for sharing such important and beautiful experience you had.